Photos above and below show Wilkes students and teachers using their new walking path to the farm, Spring 2013. 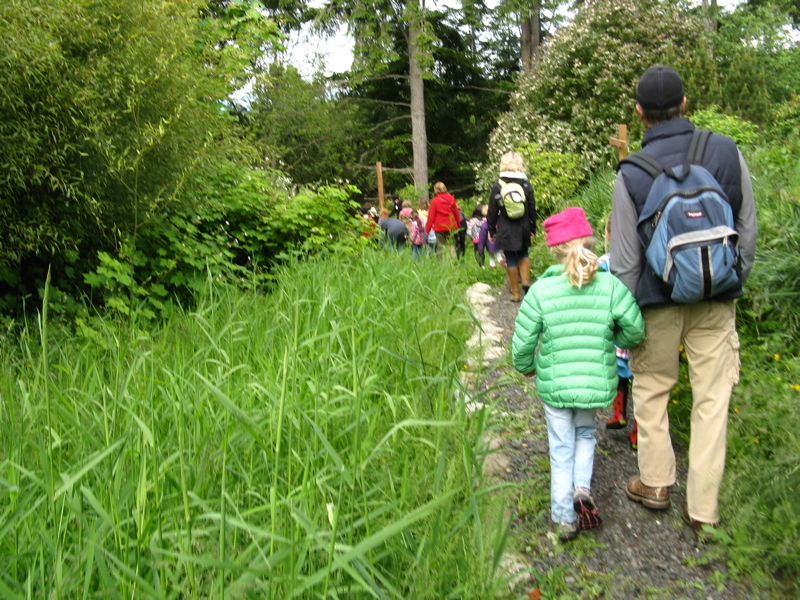 In Fall 2012, work was done to formalize a new walking path for students and teachers to take from Wilkes Elementary to Suyematsu & Bentryn Family Farms. This new path from Vista Road offers safer and more direct access to and from the farm. 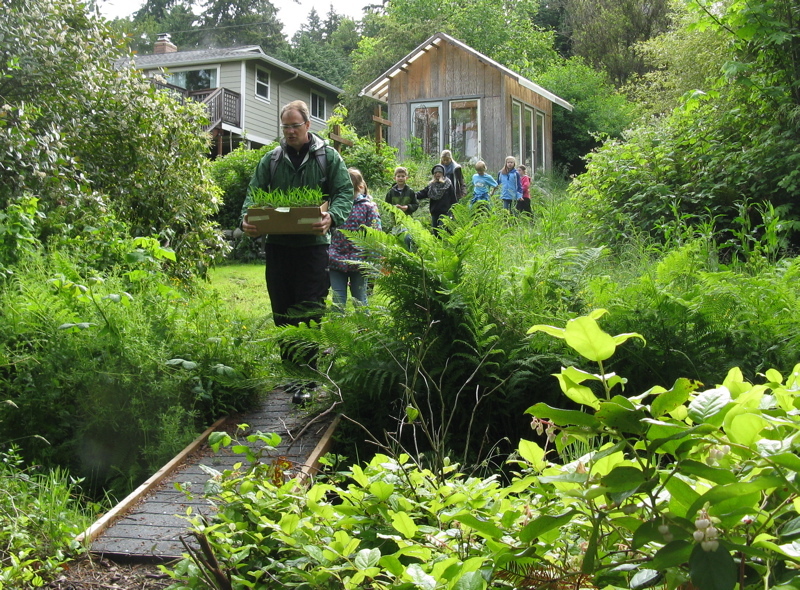 Many thanks to Brian Stahl from the Kitsap Conservation District, Bart Berg from Friends of the Farms, and the Washington Conservation Corp for their dedicated time and resources constructing this walking path for our farm-school programs.